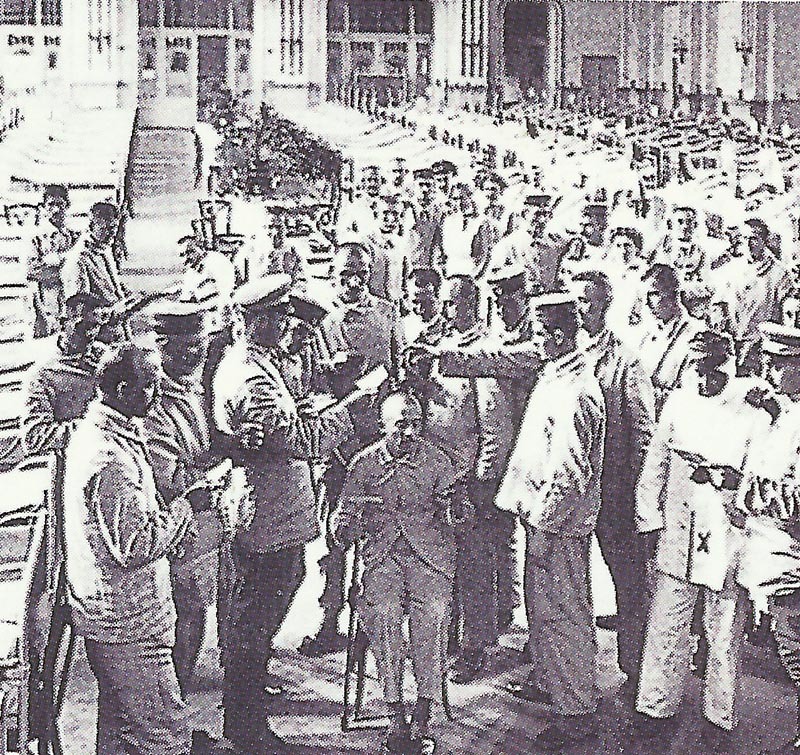 German military hospital for wounded soldiers in 1915. Artois: French re-control Notre Dame de Lorette Ridge and repulse counter-attack. Galicia: Only 1/3 of 4th Siberian Reserve Rifle Regiment de-train at Lemberg. Carpathians: ­Brusilov advances until April 4, retakes Lupkow Pass on March 26 with 8,200 PoWs. Egypt: Hamilton arrives at Alexandria. India – Northwest Frontier: Action of Dardoni by General Fane against 10,000 Tochi warriors threatening Miranshah until March 27. Colonial Secretary Harcourt’s Cabinet memo urges Mesopotamia’s annexation for Indian immigration and US Palestine mandate. Baltic: German warships shell Courland and Libau (March 28). Allied military intelligence in Petrograd reports German weapons for Turkey being allowed through Rumania and Bulgaria. British foreign minister Grey vainly protests to envoys. Germany: ­Toxic gas trench mortar bombs tested at Wahn near Cologne. Japan: Government wins elections with 80% majority.